Product prices and availability are accurate as of 2019-04-11 21:08:10 EDT and are subject to change. Any price and availability information displayed on http://www.amazon.com/ at the time of purchase will apply to the purchase of this product. 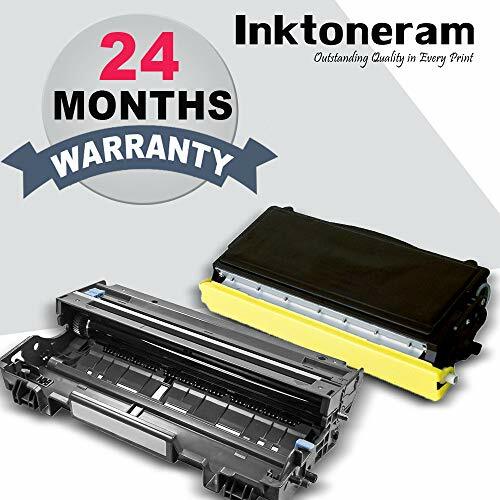 This package contains: 2 Inktoneram Replacement toner cartridges & drum to replace Brother DR510 TN570 Toner Cartridges & Drum ( 1 Toner, 1 Drum ). (THIS IS A COMPATIBLE REPLACEMENT PRODUCT ONLY. THIS IS NON-OEM .) 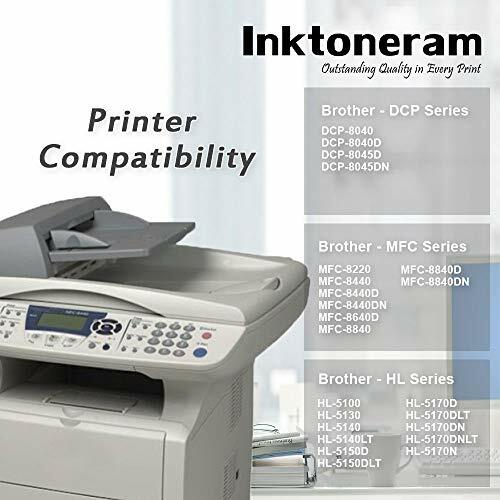 To replace Cartridges with part numbers : TN570 TN-570 TN540 TN-540 DR510 DR-510. 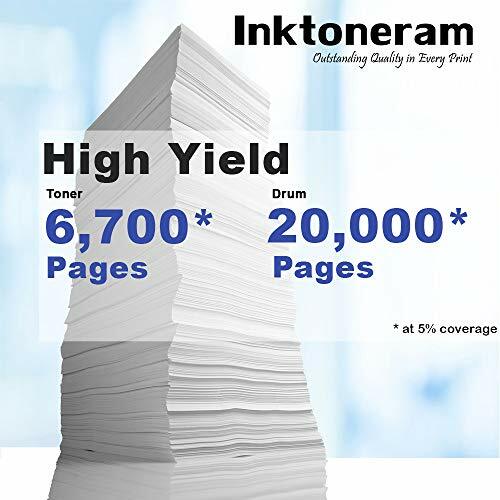 Page Yield : 6,700 Pages / Toner and 20,000 Pages / Drum at 5% coverage Printer Compatibility:Brother DCP: DCP-8040 DCP-8040D DCP-8045D, Brother HL: HL-5100 HL-5130 HL-5140 HL-5150D HL-5150DLT HL-5170DN HL-5170DNL, Brother MFC: MFC-8220 MFC-8440 MFC-8640 MFC-8840D MFC-8840DN Warranty: Our Compatible Inktoneram Replacement toner cartridges & drum to replace Brother TN570 DR510 cartridges are manufactured under strict ISO-9001 standards. They are excellent economical alternatives to the high-cost OEM cartridges. 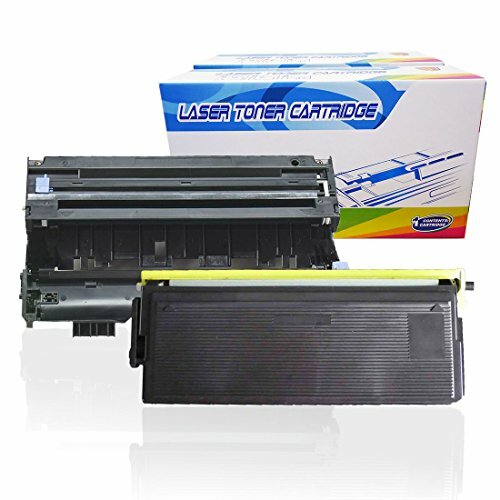 These cost-effective toner & drum will provide high quality prints that meet OEM standards and are guaranteed against defect. 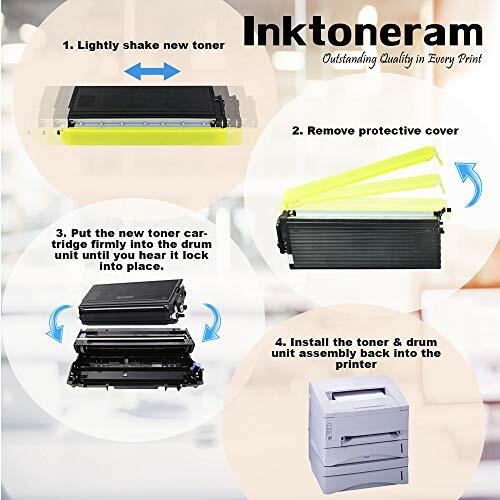 Our compatible Replacement cartridges to replace Brother TN570 DR510 cartridges come with a 90 day 100% money back guarantee.